Is it possible to live your whole life somewhere and still discover ways to be surprised by it? As much as we love to travel out of province and country, it’s also a fun challenge to explore the diversity of home. Spruce Woods Provincial Park is situated in Western Manitoba, approximately 45 minutes East of Brandon, and less than 2 hours from Winnipeg. 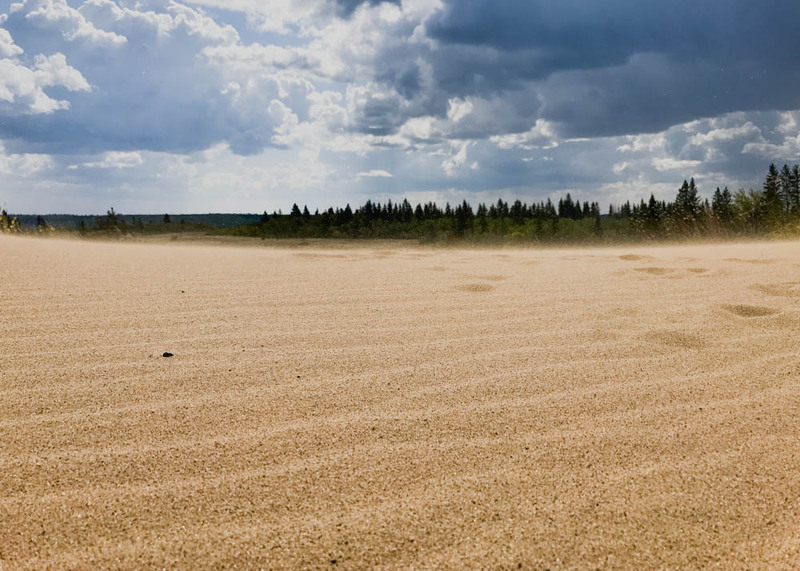 This short Manitoba road trip will transport you from prairie lands to swirling sands. Here you can spend your days hiking and exploring a variety of landscapes all in one place, encounter rare species, and completely unplug to rejuvenate the spirit. 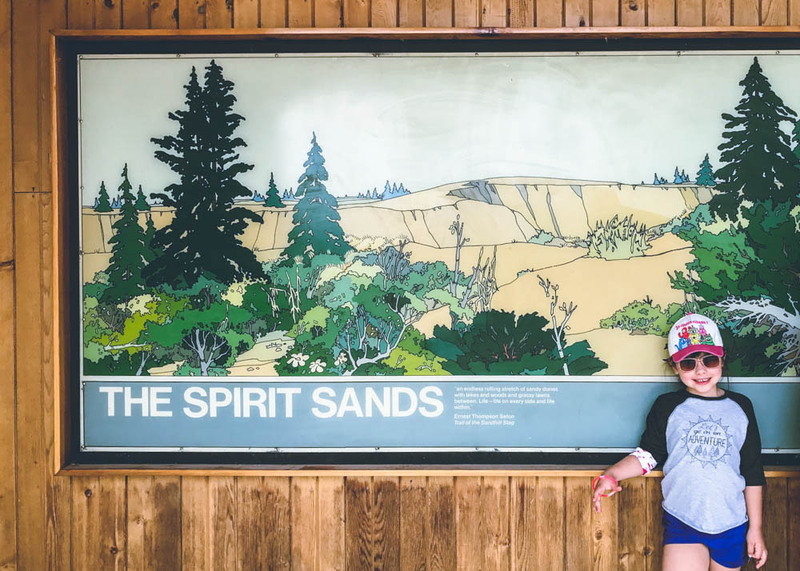 While the campground in Spruce Woods is peaceful and well appointed, the real star of the park is Spirit Sands. 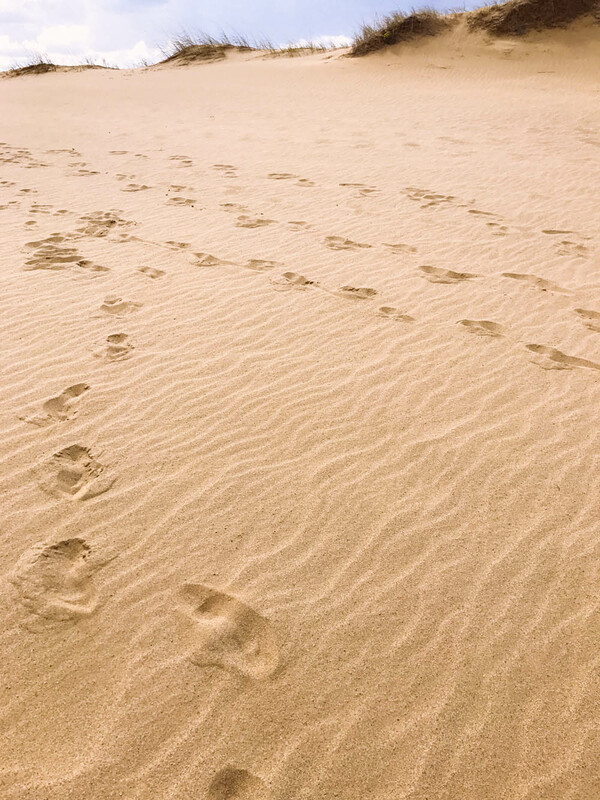 Walking through shifting dunes was our ultimate goal on this trip. 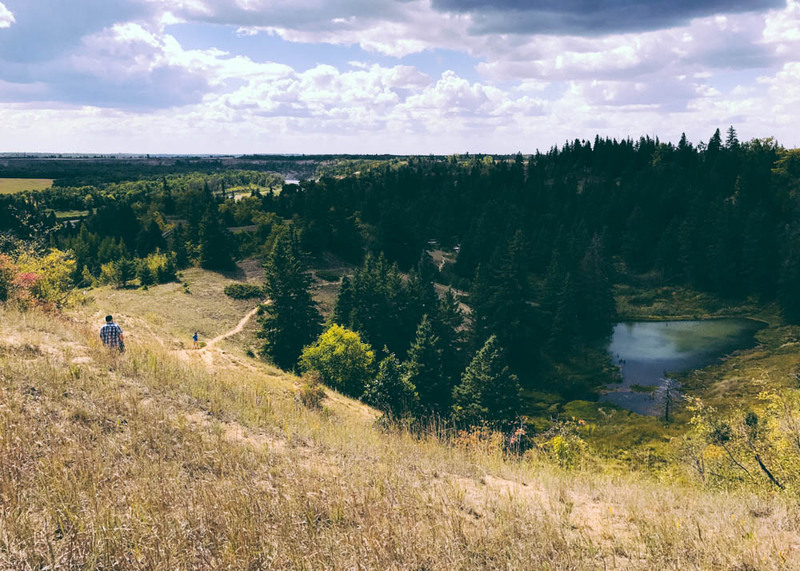 Hikers can enjoy the trails at their leisure, choosing a route that suits their abilities. Typically, hiking the full trail will take 3 to 4 hours. This area gets very hot during midday so early morning and afternoon is the best time to set out (equipped with lots of water and sun protection). Our family enjoys hiking but we’re more accustomed to shady treks under 3 km. Step one of enjoying the day here (or anywhere) is to know and respect your groups ability levels. For us that meant not pushing our kids too far. Happily, Spirit Sands Wagon Outfitters offers scheduled horse drawn wagon rides along the trails that stop at both the dunes and the scenic Devils Punchbowl vista. Our driver shared his bountiful knowledge of the area, its more unique creatures and vegetation, and how the landscape has changed over the years. No motor vehicles are allowed in this protected area, so if you want a ride, horse drawn carriage is where it’s at! Arriving by foot or wagon, you can view the eerie blue-green waters of a ground fed pond dubbed the Devils Punchbowl. Trails lead up to a scenic outlook, or down to the waters edge. It’s quite a sight in person. I could have enjoyed the view for hours. Don’t forget to bring a camera! While you’re out in the dunes, make sure to search for special native species, the western hognose snake and the northern prairie skink. We don’t have photos to share of those special creatures but we were a bit more lucky on another trail within the park. Isputinaw Self-guiding Trail takes you on a hillside climb to look out over the valley. It’s a short but slightly challenging walk (about 45 minutes) that includes a log stair built into the steepest part of the trail. I loved this trail because it allowed us to go through marshy areas and up along the hillside for a magnificent view. 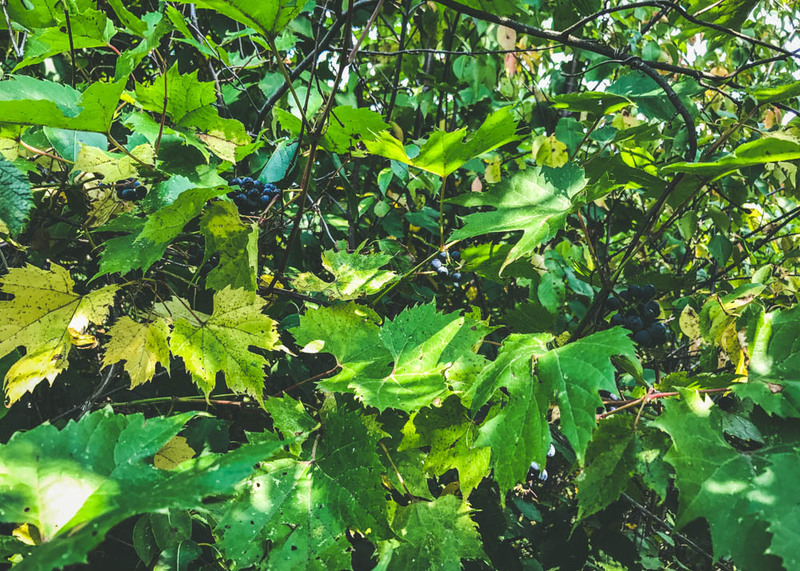 Wild grape vines climb between the branches of the oak trees. The kids spotted a pair of ruffled grouse right on the trail path. The majority of the trails is shaded by the forrest, which you will very much appreciate on sunny days. 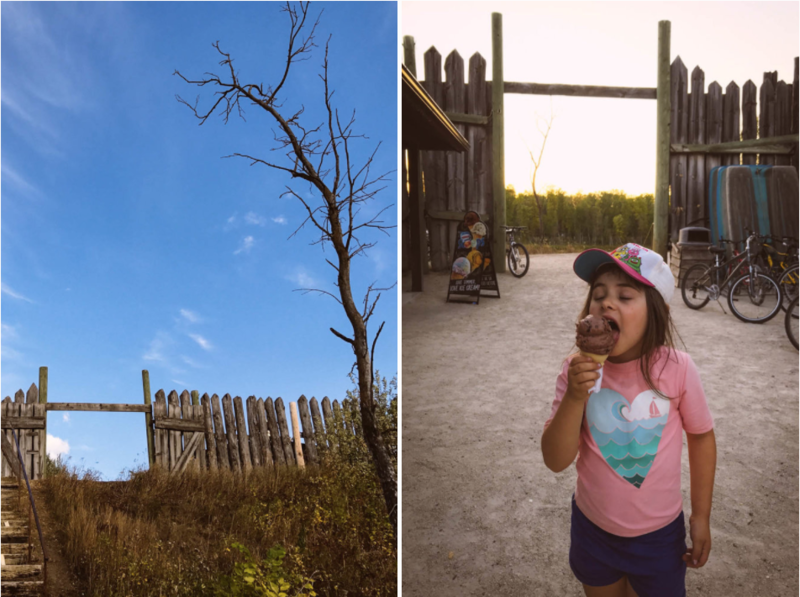 Spruce Woods Provincial Park is a very special place, and a Manitoba must see. Our wagon tour guide expressed to us how the shifting dunes of Spirit Sands are naturally diminishing over time, giving way to grasses and other plants which root and grow in the hills. Roughly 4 square kilometres remain open to climb, slide down, and enjoy. 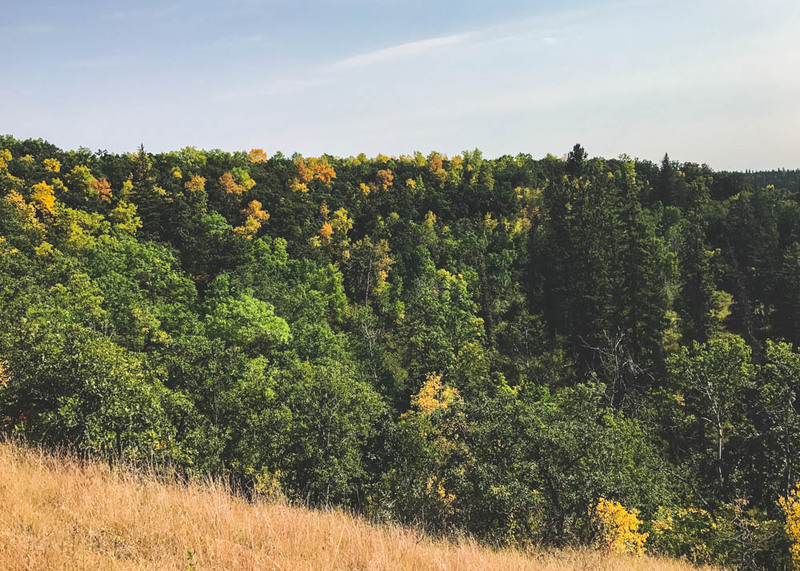 The views of the beautiful Assiniboine River Valley will take your breath away. 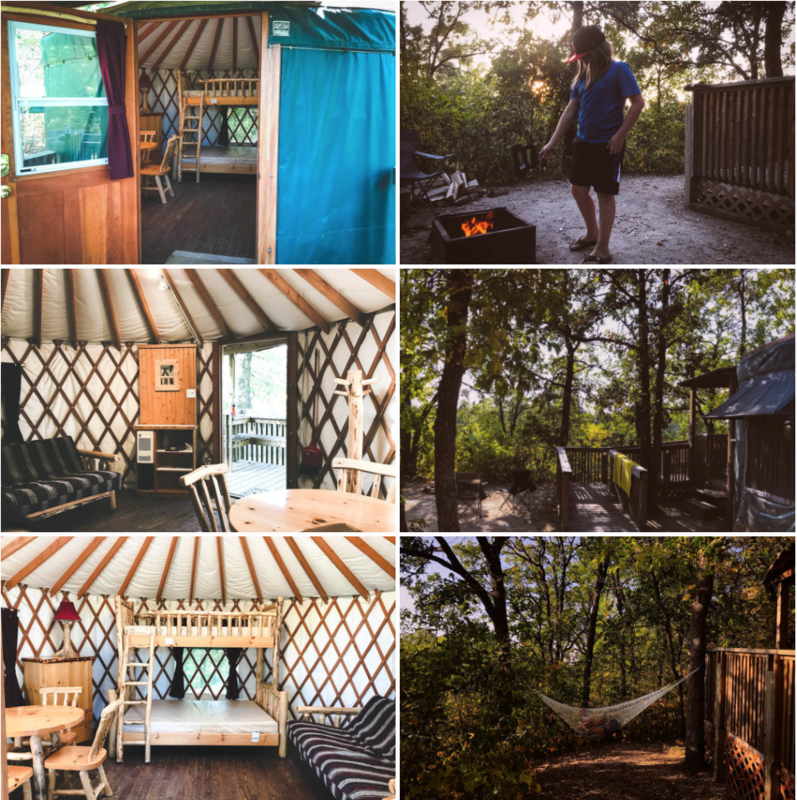 We found fall to be the perfect time of year to book a comfortable yurt to stay in. As the leaves change, it becomes quite spectacular ! I hope you’ve enjoyed visiting Spruce Woods with our family and encourage you to set out on your own adventure there very soon.